Swag life means rolling in style. 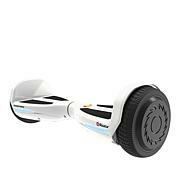 With this Swagtron hoverboard, you'll get where you're going easily and look cool doing it. Bluetooth connectivity makes it easy to change modes, access the map function, do a battery check or stream your playlist. 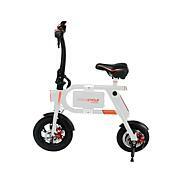 Roll at speeds up to 7.5 MPH and up inclines of up to 30 degrees. 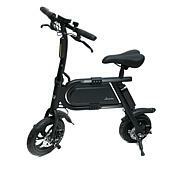 It's built ruggedly, yet offers a smooth ride an a variety of surfaces. You can even control it from your smartphone! Now that's what we call Swag! elbow pads, wrist braces and an ASTM F1492 approved helmet for ALL riders of ALL ages at ALL times. 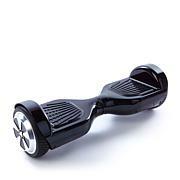 Only ride the Swagtron where permitted. You MUST comply with local laws and give way to pedestrians. Minumum User Weight Requirement: 44 lbs. 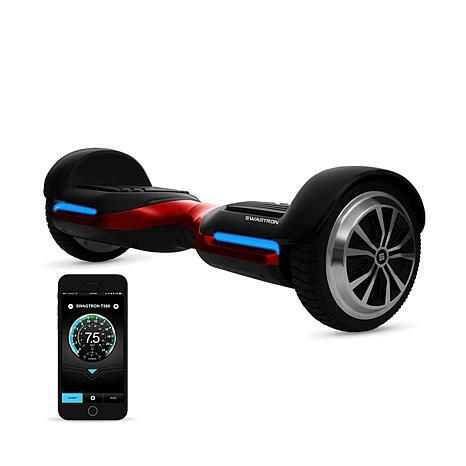 Hoverboard has passed strict electrical and safety test to ensure customer peace of mind. Very pleased. Works as described. Very cool! Son is obsessed. Has not stop riding it. My 5 year old and 14 year old loves this hoverboard. The music doesn't really play loud. The quality is great. I purchased this board for my partner as a birthday gift. Not knowing anything about hoverboards I took a chance mainly based on other reviews. Well, I was not disappointed at all by this board. In fact, both my partner and I were very impressed by all the features this product offers. I was a little skeptical about the power of the hoverboard and how it will really handle inclines, but the board rides so smoothly. No struggles at all. My son got this for his 8th birthday. He loves it. It can be used indoors or out. Bluetooth function works well, but I think he's blown the speakers already not knowing what he was doing.